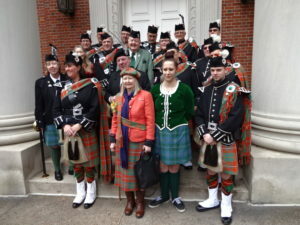 It was with great pleasure that the Chief, the Countess and office bearers of Clan Hay attended the 20th New York Tartan Week. 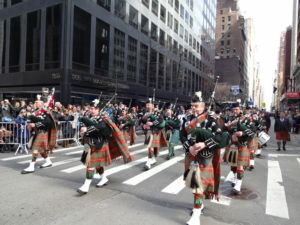 The Clan Hay Pipe Band and their families also attended along with members of Clan Hay from the USA. The organisers decided to make Clan Hay the Honoured Clan and were thrilled to see so many of us there. 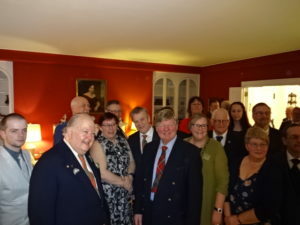 It is thanks to the kindness and extreme generosity of Henry LaFayette Collins III that so many of us were able to attend as he continued his superlative support for both the Clan and our Pipe Band. The Chief Celebrates his 40th year as Chief of Clan Hay and Lord High Constable of Scotland.